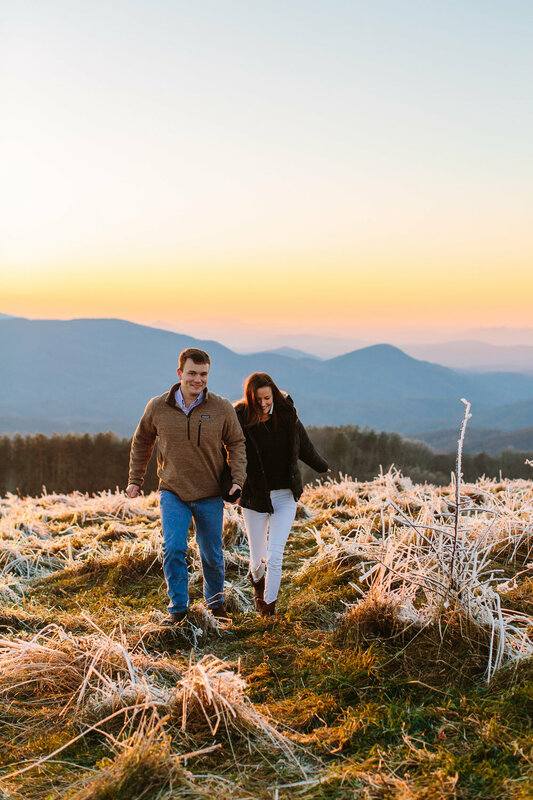 It was such an honor photographing Andrew & Kelly up on Max Patch Mountain in North Carolina. 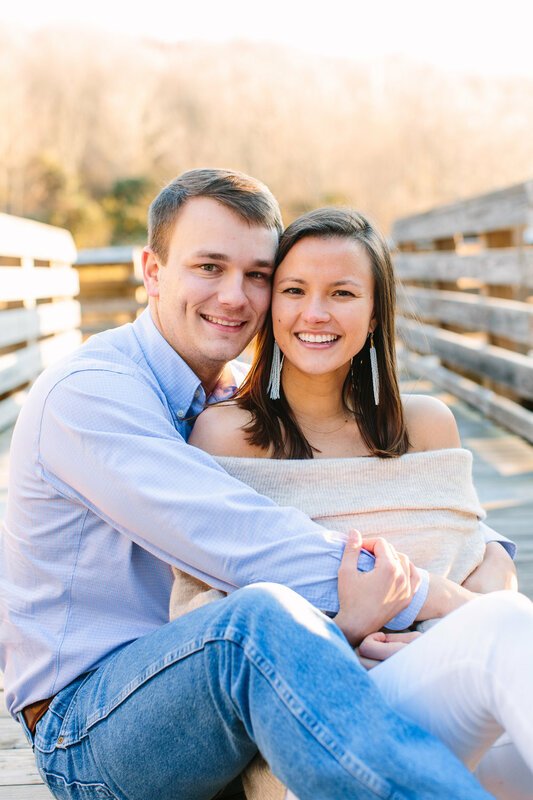 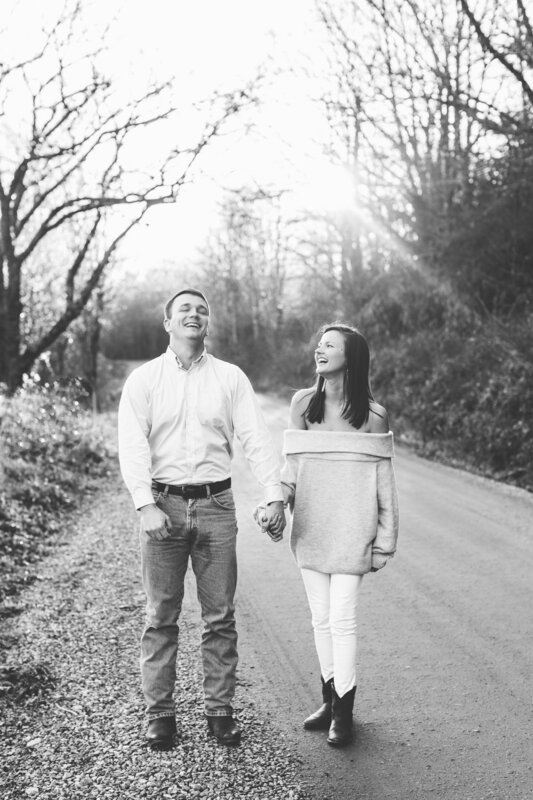 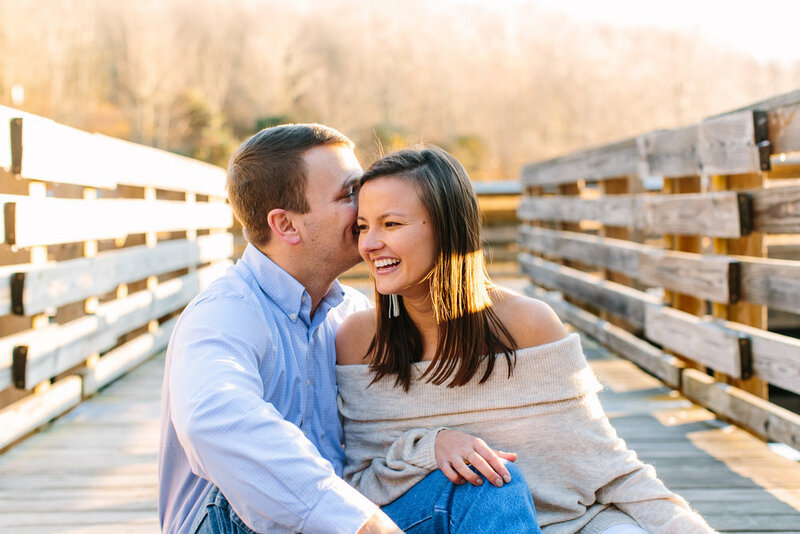 These two made the drive to Knoxville for their engagement pictures from Birmingham, Alabama, where they first met and will be starting their new life together as one! 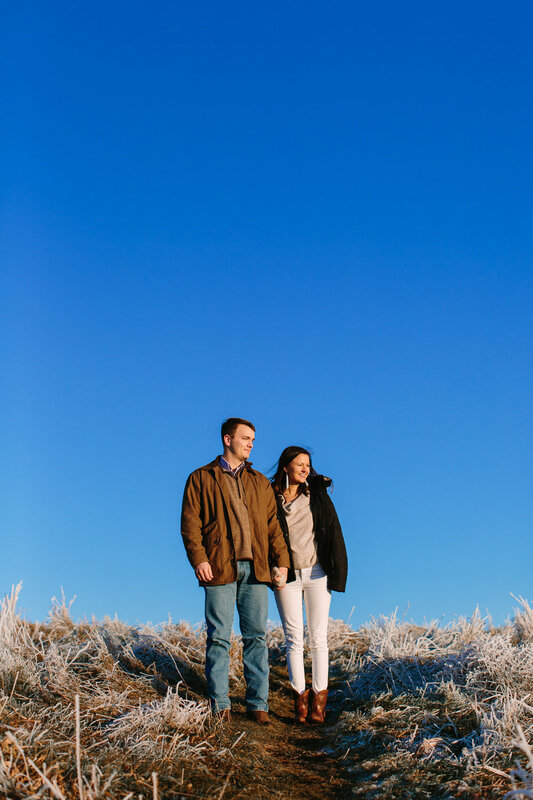 Their Max Patch engagement session was pretty dang cold (notice the icicled grass and snow on the ground), but they totally made the most of it and their sunset photos turned out so perfectly! 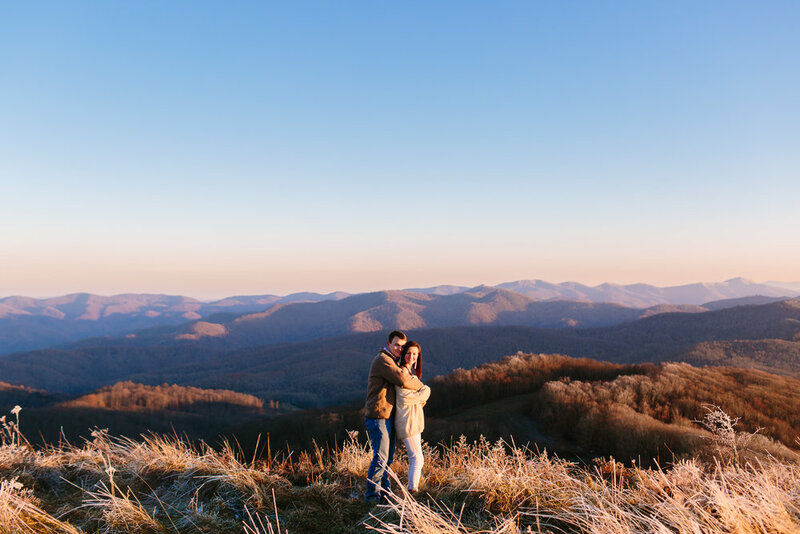 There wasn’t a cloud in the sky and with the combination of the frosty mountain top and warm shadows cascading across the mountains from the sunset, we had quite the romantic setting for their engagement pictures. 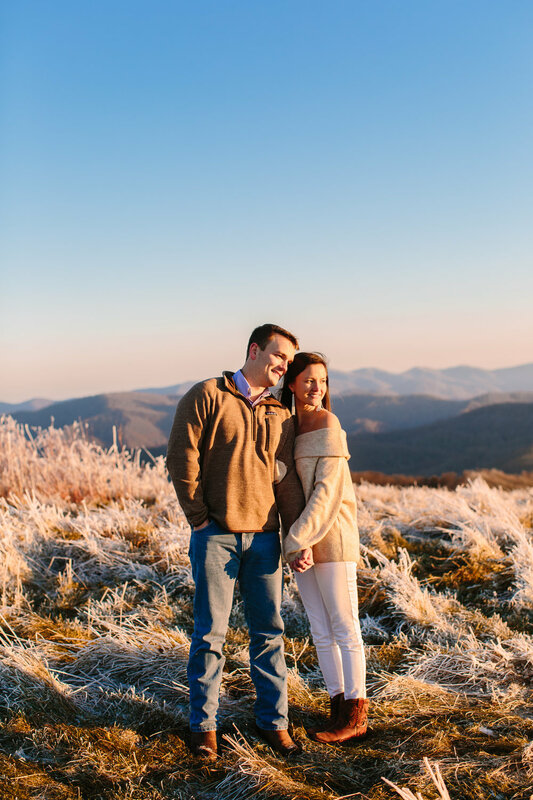 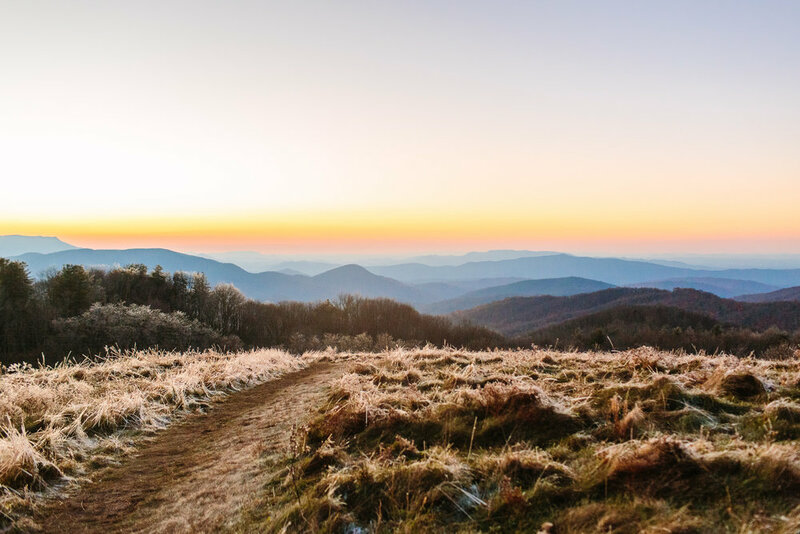 Grab a cup of hot chocolate and enjoy this chilly mountain top photoshoot at Max Patch with these cuties!